Calling all gamers! 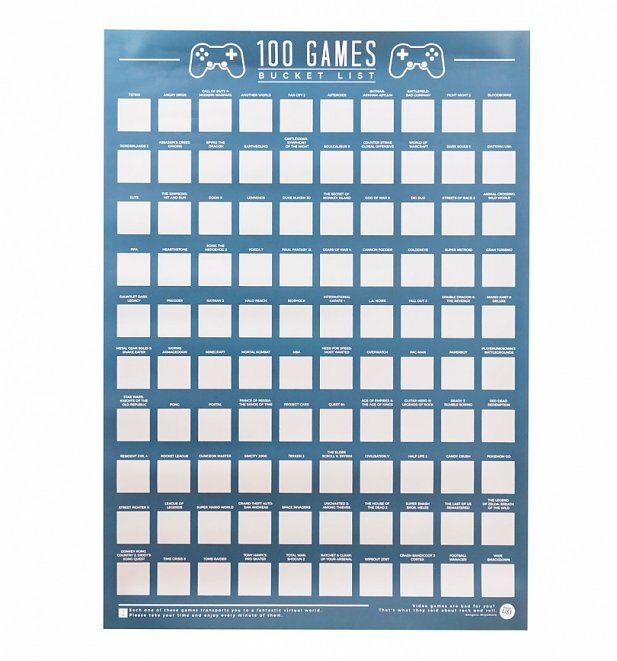 Show off your very own gaming bucket list with this stylish poster which allows you to scratch the title off as you play. 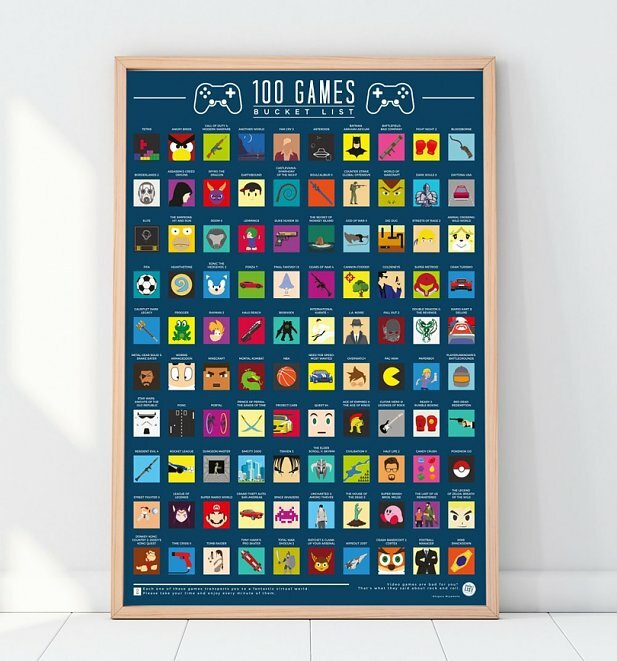 Each square when scratched unveils a powerful image related to the video game itself. 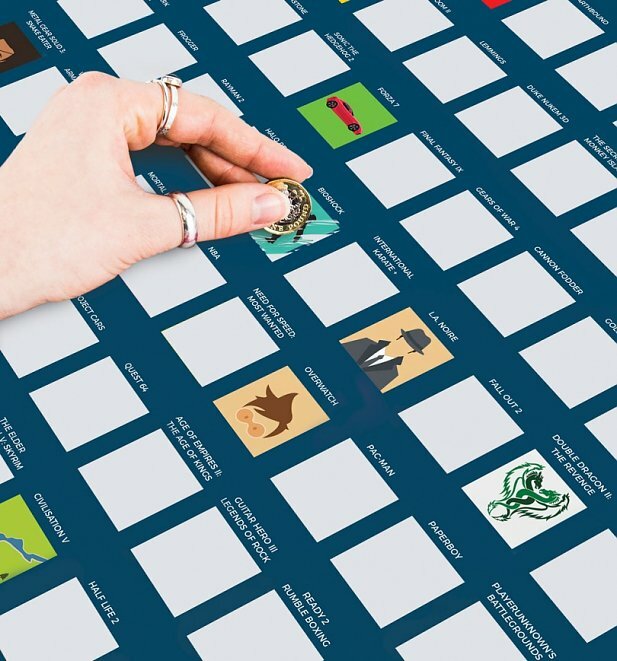 From old school classics like Tetris, Pac-Man and Lemmings to modern classics like Fall Out 4 and Call of Duty, this hand picked selection covers a huge range of years and genres ready for you to discover. 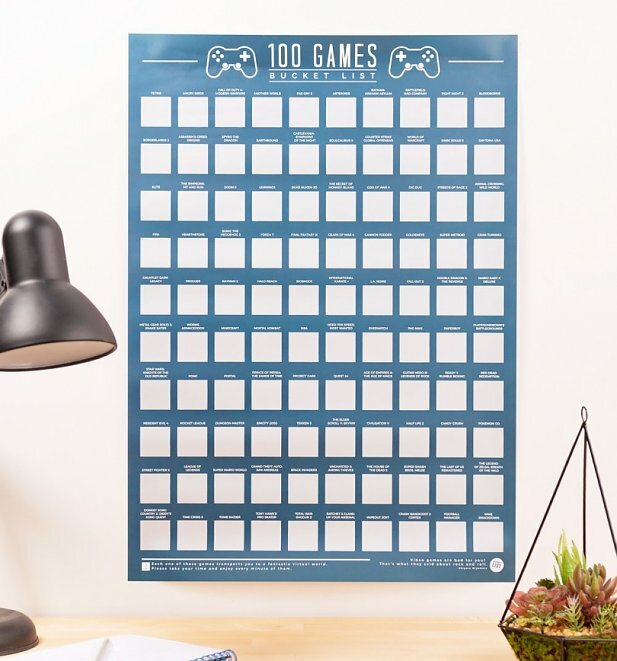 Inspiring and interactive, this would make the perfect gift for any gaming fan. Review: Brought as a gift, she loved it but hasn't started it yet. 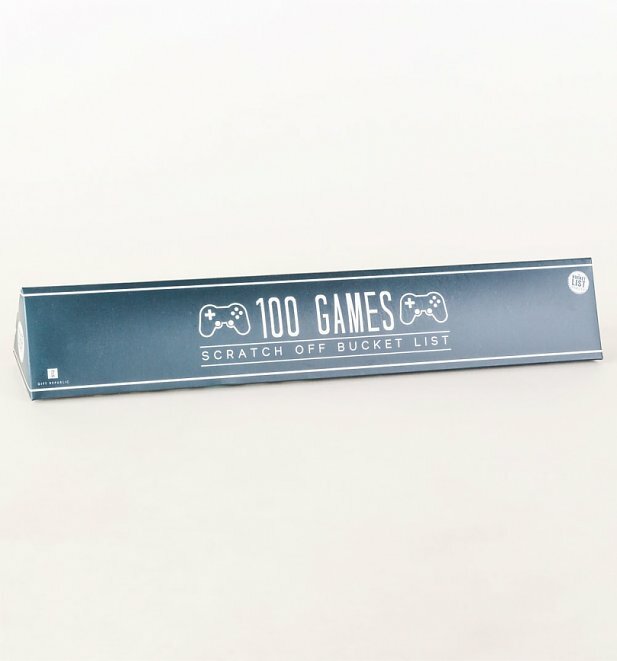 26770100 Games Bucket List Scratch Posterhttps://www.truffleshuffle.co.uk/product_images/TS_100_Games_Bucket_List_Scratch_Poster_12_99_FT.jpg12.99GBPInStockGBP/mens/women/homewares/toys-games/gifts/gifts-for-geeks/gifts-for-gamers/everything-else/gifts/art12.9900Calling all gamers! Show off your very own gaming bucket list with this stylish poster which allows you to scratch the title off as you play. 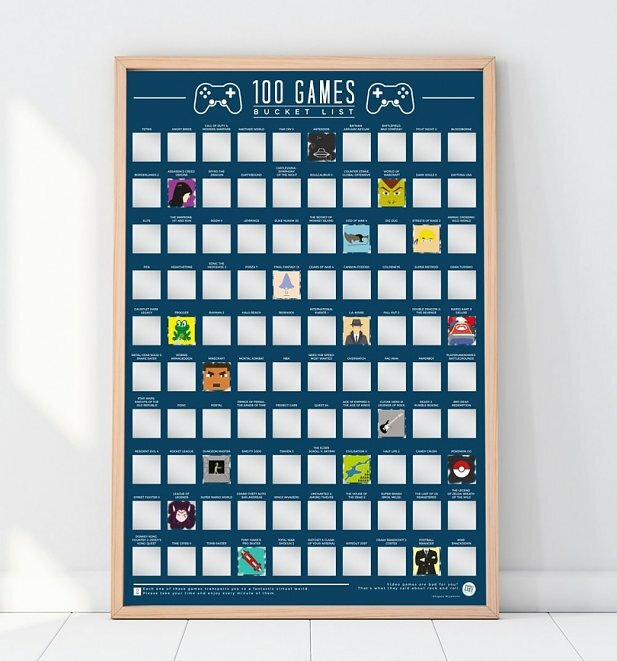 Each square when scratched unveils a powerful image related to the video game itself.